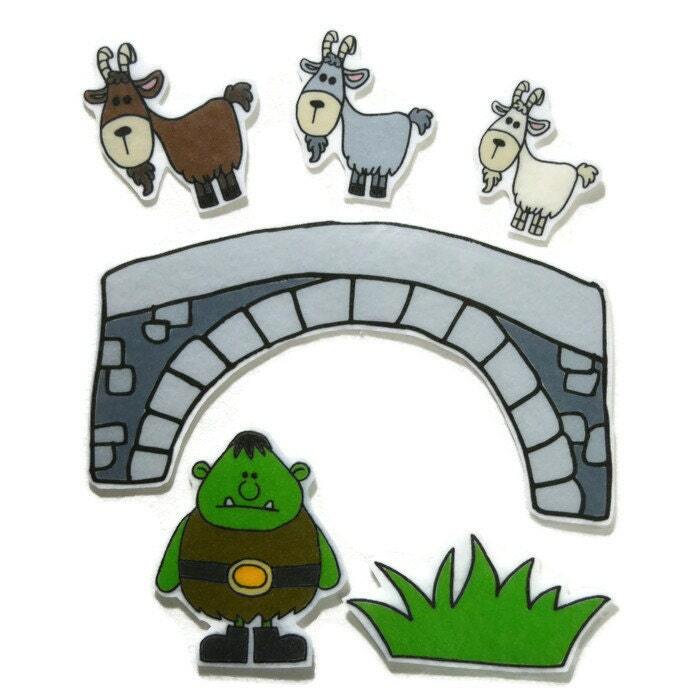 Your little one will love playing along with the three billy goats gruff and their travels! These felt board pieces are great for independent, quiet play or group activities. These pieces are made of felt and will stick to felt or flannel.